I’ve tasted Sicily’s Nero d’Avola wine before, well at least once in 2010 during my Wine and Spirit Education Trust (WSET) course, and during annual Italian wine tasting events. These two wines below, sent for review, I had never had before and was anxious to continue my education. So, without further adieu, here is your virtual taste. Dried black currant, sweet plum, tobacco, mint chocolate, red bell pepper and forest floor on the nose was followed by smooth flavors of red fruit, white pepper and black cherry with a sharp, yet lingering, dry finish. 88 Eve pts. Prince of the enological re-birth of Sicily, the Nero d’Avola is a very important native varietal. Initially found in Siracusa, it is now found in all of the wine-making areas of the island. Sambuca di Sicilia, in the province of Agrigento, where rich, mature, and structured Nero d’Avola is obtained. It prefers clay-like terrain and is very sensitive to excessive dryness and too much exposure to sunlight. The type of farming is “Espalier”, used with an average density of planting where there are 4500 plants per 2.5 Acres. 100% Nero d’Avola. It is an average to early varietal maturing around the first week of September. This wine is obtained from grapes that have reached perfect aromatic and polyphenolic maturation. Destemming and alcoholic fermentation with the skins occurs for 6-8 days at 22-24 degrees. Malolactic Fermentation occurs with selected bacteria, then finally maturation occurs for 6 months in French barriques. Color: Deep ruby-red with pleasant reflections of violet. Bouquet: Intense and covered, notes of currant stick out, wild strawberries, and pomegranate. Flavor: Soft and velvety. Distinct characteristics of fruitiness come forth. CHARACTERISTICS: Color: Deep ruby-red with pleasant reflections of violet. Bouquet: Intense and covered, notes of currant stick out, wild strawberries, and pomegranate. Flavor: Soft and velvety. Distinct characteristics of fruitiness come forth. Aromas of grape jelly, bruised red plum, cedar and mint leaves; and then in the mouth it was all about dried red currant, lush juicy raspberry, burnt toast and mushroom. 89 Eve pts. Nuhar, meaning flower, is sourced from parcels located in the heart of the vineyard. Here, vines grow on clay soils, sheltered from the wine, and in full sunlight. Two great varieties are planted: Nero d’Avola, which develops rich tannins and body in these conditions, and Pinot Noir, King of Burgundy, which responds well to the heat of Sicily with color, softness and depth unlike anywhere else. Terroir: Select parcels lie at 1,800 feet above sea level are Guyot-trained on clay soil with yields of 32 quintals per acre. Vinification: Each variety is manually harvested, first the Pinot Noir at the end of August, then the Nero d’Avola at the end of September. Each parcel is vinified in small, stainless steel tanks. Long maceration at a controlled temperature of 75-82°F allow for the extraction of only the best polyphenols. The Nero d’Avola ages in stainless steel to preserve freshness, while the Pinot Noir matures for nine months in small French barriques. Following blending, the wines are bottle refined. Bright, ruby-red color and a bouquet with strong aromas of dried fruits. The palate is warm and full with a balanced acidity and elegant tannins. The finish is long and lingering and at this point, we discover again the classic aromas of a Pinot Noir ripened by the hot, Sicilian sun. Pairs well with roasted meats, game and truffle dishes. 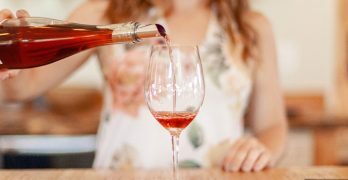 PORTLAND, Ore. (PRWEB) – Oregon wine lovers now have 19 reasons to celebrate Oregon’s acclaimed viticultural bio-regions. Now with the Tax and Trade Bureau (TTB) having approved the Van Duzer Corridor as an official AVA, or American Viticultural Area, Oregon has 19 winemaking regions—second only to California—with sufficient distinct features to be declared their own unique areas. The Van Duzer Corridor AVA and 18 others are showcased on the Oregon Wine Board’s trade site, each paying homage to their distinctive characteristics, and the Van Duzer Corridor has joined the Willamette Valley’s other six embedded AVAs listed on the Willamette Valley Wineries Association (WVWA) site. Now that the federal government has approved the AVA, on January 14 bottles with “Van Duzer Corridor AVA” may be printed on labels from the AVA’s seven wineries nested within the Willamette Valley. There are more than 240 AVAs in the US, yet the complex process in place to approve a new AVA is a mystery to many wine aficionados. People who live in Oregon, the state with the second highest number of AVAs behind California, can be proud that their region is wonderfully geographically diverse, boasting a unique patchwork of soils and features thanks to volcanic activity, glaciers and ice-age floods. “AVA designations take years to achieve as standards are rigorous for proving a region is clearly differentiated and capable of producing grapes of distinction,” she continued. “Each Oregon AVA reinforces the reality that Oregon is a collection of superior grape growing zones,” continued Murdoch. It also means your soil or sedimentary qualities and naturally shaped landmarks are unique within the winegrowing world. The Van Duzer Corridor winds blow in from the Pacific Ocean to cool off this section of the Willamette Valley and moderate temperatures during the growing season. By introducing a cooling influence to flow through the Coast Range, this allows the production of world-class wines in the Willamette Valley and specifically within the 35.9 square-mile triangle that constitutes the new AVA. For winemakers within the Van Duzer Corridor AVA, they’ll be able to market their wines with their AVA name as a unique sub-brand within a brand. Already known for its premium quality wines, Oregon wine lovers who study up on all seven of the sub-AVAs within the Willamette Valley will now be able to taste the distinct terroir within this special region. The Oregon wine community has long been at the forefront of protecting its wine regions and promoting truth-in-labeling. In 1977 the state approved stricter wine labeling standards than required by the federal government at the industry’s request, among them a requirement that 100% of wine grapes must come from Oregon (vs. 75% federally), 95% from the named AVA (vs. 85% federally), 90% from the named variety except 18 grapes traditionally used in blends (vs. 75% federally). This effort has played a critical role in building Oregon’s reputation for producing exceptional wines that are highly sought after in the marketplace. While the effort to protect Oregon’s appellations of origin has gained more momentum recently, the OWA has worked with wine regions around the world for years to protect wine place names and to promote truth-in-labeling. In September, under U.S. Senator Jeff Merkley’s (D-Oregon) leadership, the Senate passed a resolution recognizing the uniqueness and economic value of American Viticultural Areas (AVAs) and U.S. winegrowing regions. This is a prime example of keeping Oregon’s sense of place intact as it relates to winemaking, but lighting a fire under the TTB was also necessary to get this AVA approved; Oregon’s Congressional Delegation, led by Senators Ron Wyden and Jeff Merkley, played a crucial role in TTB’s approval of Oregon’s 19th federally-recognized winegrowing region after years of delay. While Oregon is a small grape growing region, responsible for less than 1% of the world’s wine grape acreage, the state’s wines net numerous awards, most recently setting a new record in the Wine Spectator with six wines in its 2018 Top 100 list of wines from all over the globe. First brought to the TTB almost eight years ago by Jeff Havlin, owner of Fender’s Rest Vineyard, the Van Duzer Corridor AVA covers 59,871 acres and is located 20 miles northwest of Salem. Its nine brands are: Johan Vineyards, Chateau Bianca, Namasté Vineyards, Firesteed Cellars, Andante Vineyard, Left Coast Cellars, Holmes Gap Vineyard, Havlin Vineyard and Van Duzer Vineyards. The AVA also has 18 commercial vineyards, with 1,000 acres of grapes planted. There are four additional AVAs in the TTB pipeline in the Willamette Valley: Laurelwood District in the Chehalem Mountain AVA; Mount Pisgah, Polk County, Oregon; Tualatin Hills and Lower Long Tom in Benton and Lane counties. The Oregon Wine Board is a semi-independent Oregon state agency managing marketing, research and education initiatives that support and advance the Oregon wine and wine grape industry. The Board works on behalf of all Oregon wineries and independent growers throughout the state’s diverse winegrowing regions. Visit oregonwine.org. The WVWA is a nonprofit industry association dedicated to achieving recognition for Oregon’s acclaimed Willamette Valley as a premium Pinot noir–producing region. The WVWA has more than 230 members representing wineries, tasting rooms, and vineyards throughout the Willamette Valley. Memorial Weekend in the Wine Country and Wine Country Thanksgiving are the two oldest WVWA– sponsored touring events in Oregon. The organization also hosts Willamette: the Pinot Noir Auction, an annual, trade-only wine auction in April. Visit http://www.willamettewines.com for more info. NEW YORK (PRWEB) – John Szabo, Master Sommelier and award-winning author and Volcanic Wines International (VWI) are proud to announce the 2nd annual ‘International Volcanic Wine Conference (IVWC), to be held in New York City on June 5, 2019. The event follows the highly successful inaugural conference, held in March of 2018, and Szabo’s acclaimed book on the subject, “Volcanic Wines: Salt, Grit and Power,” published in 2016. The IVWC, in its second year, aims to continue its mission of establishing a volcanic wine movement, and to provide educational and promotional opportunities for volcanic wine producers internationally. The conference acts as a catalyst and facilitator to eventually bring together all of the world’s volcanic regions and wines, while incredibly diverse, represent a unique category of wines produced under some of the most extreme viticultural conditions on the planet. The annual conference also aims to help establish the ‘volcanic wine classification’ as a premium category of high quality, terroir-driven wines with a true sense of place. A first of its kind, the 2018 conference brought together producers from all over the world, helping raise the profile of volcanic wines; exclusively for qualifying wine trade and media, 300 industry professionals attended the event. During the conference, guests were able to sample wines from over 50 wineries from 16 different volcanic wine regions and engage with some of the world’s leading volcanic wine experts. Educational seminars included “Volcanic Italy… as seen through Aglianico and Garganega,” sponsored by LLS, a member of The Winebow Group, “Soave: A Never-ending Volcanic Wine Story,” sponsored by the Consorzio Tutela Vino Soave, “The Volcanic Wines of Santorini: 3700 years in the making,” organized by Wines from Santorini & Wines of Greece and “Extreme Cabernet from Lake County’s Extreme Volcanic Terroir,” sponsored by the Lake County Winegrape Commission & Lake County Winery Association. The seminars explored what differentiates volcanic wines in the world of wine, and what unites them. It also gave participants an unprecedented opportunity to taste a vast collection of volcanic wines under a single roof, with producers at hand to further explain their unique attributes. Producers from regions around the world such as Sicily, Soave, Campania, Santorini, Tokaj, Badacsony, Somló, Washington State and many more will be participating in the second annual conference. Winemakers, academics, and journalists will be presenting in-depth educational seminars during breakout tasting sessions on various aspects of volcanic wines. “I am excited for what’s to come. 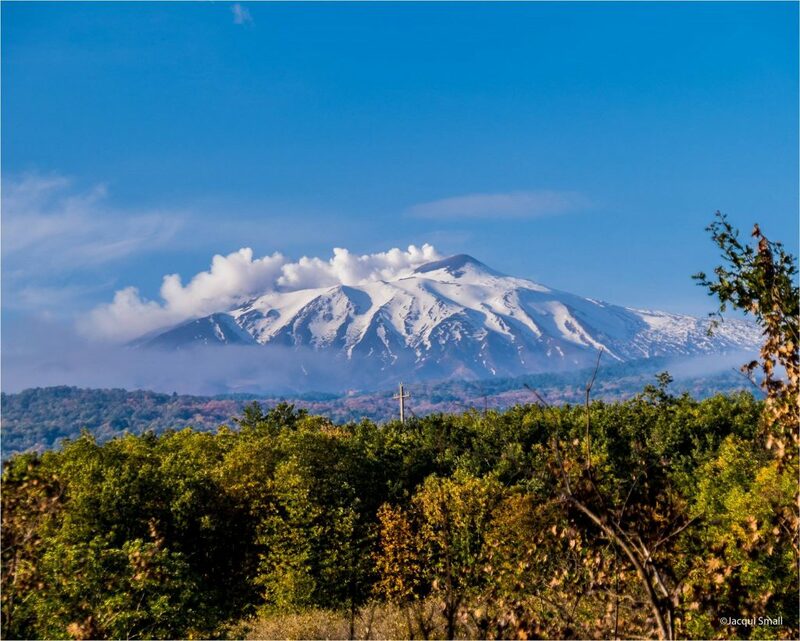 Next year’s conference will give us the opportunity to present new volcanic regions and new research, and continue our mission to define and elevate the volcanic wine category in the eyes and palates, of industry professionals and wine lovers,” says Szabo. Additional details regarding the conference, including confirmed participants and seminar schedules, will be announced in the following months. For more information and latest updates, be sure to visit the Volcanic Wines International official website http://www.volcanicwinesinternational.com, as well as following the VWI’s Facebook (Volcanic Wines International) and Instagram (@volcanicwines_intl) pages. John Szabo is a Toronto-based author and wine critic, and in 2004 was the first Canadian to add the Master Sommelier credential to his name. He was named ‘Canada’s best-known sommelier’ in Meininger’s Wine Business International, and he is a partner and a wine critic for WineAlign.com and freelances widely. In addition to “Volcanic Wines, Salt, Grit and Power,” his book titles include “Pairing Food and Wine for Dummies” and “Sommelier Management.” John also works as a restaurant consultant and speaks and judges internationally when he’s not making a few dozen bottles of wine from his vineyard in Eger, Hungary. The mission of Volcanic Wines International is to take the leading role in defining and establishing a Volcanic Wine Movement, and to provide educational and promotional opportunities for volcanic wine producers internationally. Volcanic Wines International also plans to establish the volcanic wine brand as a premium category of high quality wines with a true sense of place. Colangelo & Partners specializes in premium food, wine and spirits brands, and has long-established relationships with the key press that drive these business categories and help determine the industry leaders. Agency principals have years of experience in retail and distribution as well as communications, a rare combination that gives Colangelo & Partners invaluable insights into consumer purchasing behavior. The agency focuses on “closing the loop” between creative communications programs, distribution, promotion, publicity, and the consumer in order to maximize the efficiency of its communications programs and deliver measurable results. Founded in 2006, Colangelo & Partners was honored as one of the year’s top integrated communications firms at the 2013 Agency Elite Awards and for one of the best digital marketing campaigns at the 2014 Digital PR Awards. NEW YORK (PRWEB) – Slow Food International and Slow Wine Editore are proud to announce the release of the latest English-language edition of Slow Wine, the acclaimed and comprehensive annual wine guide of over 500 different wineries worldwide, with its annual US Tour in March 2019. This year, the Slow Wine guide continued their expansion into the US, by including Oregon wineries for the first time. The wineries were reviewed with the same Slow principles as their Italian peers. The move to add non-Italian wineries is not unprecedented – the 2018 edition added seventy wineries from California– this year’s additions continue to show the guide’s vigorous efforts to take their Slow philosophy worldwide. Slow Wine’s move into the US started in California, where it officially opened its chapter in the summer of 2017. After visiting hundreds of producers on the West Coast and evaluating them according to the same high standards the guide is known for, 70 producers were selected and added to the 2018 guide. Now, moving into Oregon is a significant step for the Slow Wine Guide, as the pioneering state is home to internationally-celebrated wine producing areas. Oregon’s commitment to sustainable wine-making and respect for the terroir is consistent with Slow Wine’s principles and its mission to support local agriculture. 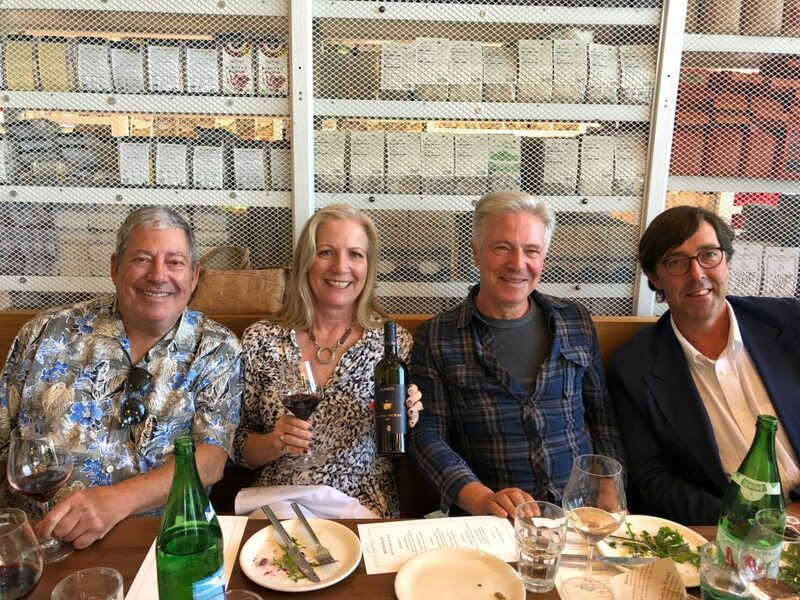 Slow Wine Editore, the Slow Wine guide publisher, and a delegation of its top wineries will hold tasting events for press and trade during their annual US tour, this year making stops in five cities nationwide. Attendees will get a chance to preview this innovative guide, discover new wines, and meet the people behind 100+ Italian and American select producers who represent the Slow Wine values. The Snail, the Slow Food symbol, signals a cellar that has distinguished itself through its interpretation of sensorial, territorial, environmental, and personal values in harmony with the Slow Food philosophy. Only wineries that are herbicide free can receive the Snail. The Bottle, allocated to cellars that show a consistently high quality throughout their range of wines. The Coin, an indicator of great value. Slow Wine features wines that represent outstanding quality, expressing the history and identity of the land from which they come in each sip. To register for the Slow Wine trade and media events in San Francisco and New York, please visit the links below. Registration for Portland, Denver, and Boston will follow shortly. 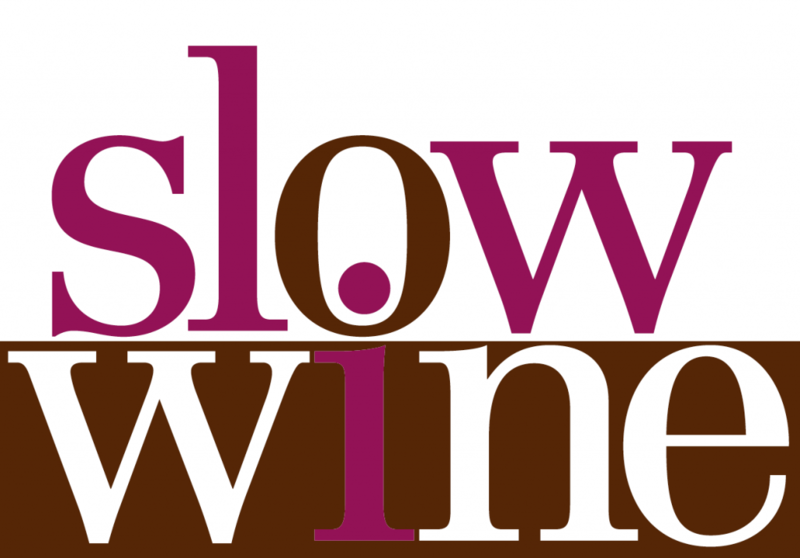 The Slow Wine Guide, published by Slow Food Editore (the publishing arm of Slow Food Italy*), adopts a new approach to wine criticism and looks at a variety of factors to evaluate wineries in their entirety. They take into consideration wine quality, history and adherence to terroir, value, environmental sensitivity and ecologically sustainable methods of practice. Slow Wine was conceived to give a realistic snapshot of the current Italian wine landscape. The guide features reviews of over 500 different wineries, each one visited by Slow Food experts. It is available for purchase on Amazon.com as well as in select bookstores. *Slow Food International is a global grassroots organization that envisions a world in which all people can access and enjoy food that is good for them, good for those who grow it, and good for the planet. A non-profit member-supported association, Slow Food was founded in Italy in 1989 to counter the rise of fast food and fast life and the disappearance of local food traditions, and to encourage people to be aware about the food they eat, where it comes from, how it tastes, and how our food choices affect the rest of the world. “Sense of place” is often bandied about in conversations about wine. Wines should not only be delicious but they should reflect their terroir – where they are from and the conditions unique to the vintage. The Rockpile AVA in Sonoma County is one of our favorite sources of wines that epitomize where they are from. Located at the far western end of the Dry Creek Valley, for me the wines (especially Zinfandels) from this area make me think of a combination of the power of Paso Robles with the complexity of the Russian River Valley. So, when Clay Mauritson, in response to my inquiry about Karen and me visiting with him at his namesake winery during harvest, suggested that we spend the morning out in Rockpile to get grape samples, that sounded pretty exciting to us. Mauritson is not too far from the entry to the Dry Creek Valley just west of Healdsburg. We met Clay there at 8 AM and headed west to Rockpile. Along the way Clay told us about some of the area’s history and the impact that Clay’s family has had on it. Clay’s family emigrated from Sweden. Clay told us that “they settled in the Rockpile area of Dry Creek Valley and began growing grapes immediately, circa 1868. In 1884 my great, great, great, grandfather attempted to export wine back to his homeland of Sweden.” The homestead and ranch had grown to about 4,000 acres until 1968 when the Army Corps of Engineers acquired 3,300 acres of the land owned by the Mauritson family by virtue of eminent domain due to the perceived need to build a dam, thereby creating Lake Sonoma. Clay said, “When we lost the Rockpile property, my grandparents purchased the ranch in Alexander Valley where they continued growing grapes. The Rockpile property was used for livestock: sheep and cattle, but we did not resume growing grapes there until 1998.” But it wasn’t until Clay returned from college and worked in the winemaking industry in the area that he made the decision that the Mauritson name should actually be on wine bottle labels as the winery. The Mauritson winery was officially born with the release of its first vintage in 1998. The modern winery and tasting room was opened in 2004. 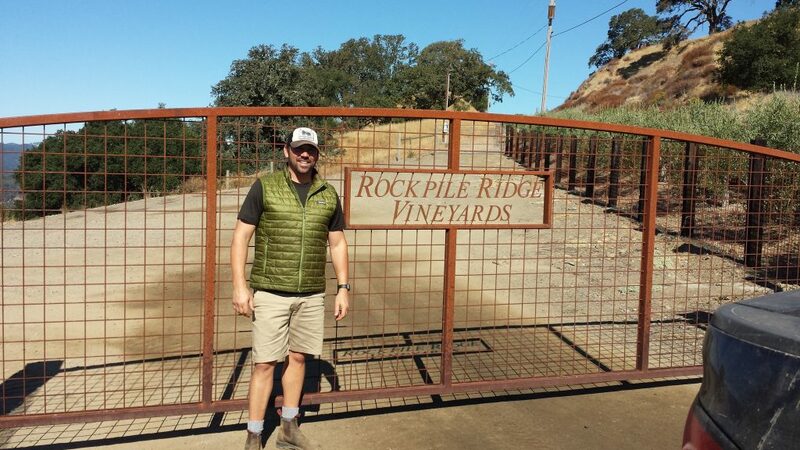 It didn’t take long for Clay to revisit the Rockpile area and realize its potential for making great wine. The Mauritson Rockpile Zinfandels are some of my all-time favorites. Rockpile was granted official AVA status in 2002, due primarily to the efforts of Clay’s dad Thom along with Rod Park and Jack Florence Sr.
Clay also discussed how happy he was with the current 2018 harvest. The growing season had been virtually perfect. Sometimes near the end of the growing season, the threat of impending heat spikes or rain could impact when the grapes are picked. Not this year. The grapes only needed to be picked when they were ready to be picked. Clay said that they test the grapes early and often at Mauritson, so they can plan the optimal picking window. He explained you can do a lot of things at the winery but you “can’t change the flavors” – those happen in the vineyard. Walking the vineyards with Clay as he pulled samples to take back to the winery for testing, I felt a new appreciation for an AVA that has always been at the top of my list of favorites. And since I wanted to play “winery helper” and carry the buckets that Clay was filling, I also felt a greater appreciation for the hard work that happens in the vineyard, especially those steep ones in Rockpile. I am sure that Clay would have finished sooner without me, but my excuse is that I am 63 and out of shape while Clay is 20+ years younger and still looks like he did in his football playing days at Oregon. We spent a couple of hours in the vineyards and I admittedly weenied out and let Clay walk at least one of them alone. But now it was time to head back to the winery and taste some wine. While when I think of Mauritson I automatically think of Zinfandel, I soon found out those aren’t the only varietals that Clay is making, and making well, I might add. 2017 Mauritson Sauvignon Blanc, Dry Creek Valley – I really liked the richness of this wine. 2016 Charlie Clay Pinot Noir, Russian River Valley – Clay makes this with/for renowned Chef Charlie Palmer; the only wine he makes with purchased grapes. All three of these wines were excellent representations of what Rockpile is known for. 2015 Rockpile “Buck Pasture” blend of Cabernet Sauvignon, Merlot, Malbec and Cabernet Franc. All of these showcased the intensity of the Rockpile fruit. Whew. Clay makes a lot of wines and we didn’t even taste all of them. But, as an added bonus we got to taste one of the wines from Clay’s single soil Cabernet series, which focuses on producing Cab from four distinct soil types. We had the 2014 Clough and it was outstanding. Something else to consider: Annually in August, Clay Mauritson and Chef Charlie Palmer co-host the Project Zin event in Healdsburg. This is a gathering of winemakers and chefs to benefit Down Syndrome Association North Bay. The winery lineup is Zinfandel heaven and August now looks like a pretty good time to visit the area. You’ll find that several wineries make wine from Rockpile grapes – some even own vineyards in Rockpile and other just purchase grapes from the area – and you’d be hard pressed to find wine from this AVA that you won’t like. But I heartily recommend that you at least start your enjoyment of Rockpile wines with the family that had so much to do with putting Rockpile on the map in the first place – Mauritson. Michael Perlis has been pursuing his passion for wine for more than 25 years. He has had the good fortune of having numerous mentors to show him the way, as well as a wonderful wife who encourages him and shares his interest. 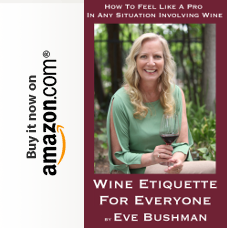 After a couple of decades of learning about wine, attending events, visiting wineries and vineyards, and tasting as much wine as he possibly could, he had the amazing luck to meet Eve Bushman. Now, as Contributing Editor for Eve’s Wine 101, he does his best to bring as much information as possible about wine to Eve’s Wine 101 faithful readers. Michael is also Vice President of Eve Bushman Consulting (fka Eve’s Wine 101 Consulting) http://evebushmanconsulting.com/ and President of MCP Financial. Michael can be contacted at michaelthezinfan@aol.com or michael@evebushmanconsulting.com. The last time I met with Alessio Planeta and tasted through his wines was in 2015. So I was overdue for a new tasting, and this time it would include a lesson, a luncheon and a wine glass made especially for the wines! Anthony Dias Blue (Tasting Panel Magazine), me, Piero Selvaggio (Valentino’s Santa Monica) and Alessio Planeta. I’d like to invite you to join us for a special “MasterGlass” experience hosted by Alessio Planeta, co-owner/lead winemaker for Sicily’s Planeta winery…Alessio will take us through a formal tasting of various expressions of Nero d’Avola from four different regions/terroirs across Sicily: Noto, Menfi, Vittoria and Capo Milazzo. Italian fine dining legend Piero Selvaggio will provide insight…“MasterGlass” comes in to play because the tasting will be conducted using glasses designed by Riedel specifically for Planeta and Nero d’Avola. The tasting will include a vertical of Planeta’s top Nero d’Avola, Santa Cecilia: 2013, 2007, 2005. The wine grape Nero d’Avola is comparable to other grapes grown in other regions of the world, for example Sangiovese from Tuscany. Harvest is a 3-month process in Sicily. In the four areas where they have vineyards, each has a different culture as well as a different terroir influenced by both soil and sea. There were no wines from Sicily when he opened Valentino’s Santa Monica over four decades ago. There were two Italys – and when he immigrated people automatically assumed he had mafia affiliations. With Planeta’s rise beginning 20 years ago there is a new Sicily and development on the Island. “Tuscany is out – and Sicily is now the place to be” for wines. Crushed red cherries, mushroom, stems, rich minerality, green peppercorn; light, bright cherry and strawberry. Cherry liqueur, red fruit, layered spice, pleasant aromatics; red fruit again, nicely balanced with the spice and a medium finish. A great nose filled with blueberry, milk chocolate, sweet port and dust; rich red to blue fruit, dry and dusty finish. Black fruit, black pepper, stewed mushroom, Bolognese sauce, perfumy; very dry, dark fruit, oak and tannins. Dried blue fruit, crushed leaves, liqueur and Port qualities, rich soil; big, bold, dry dark fruit and pepper. Incense, forest floor, red-blue-black fruit; rich, layered fruit and spice. 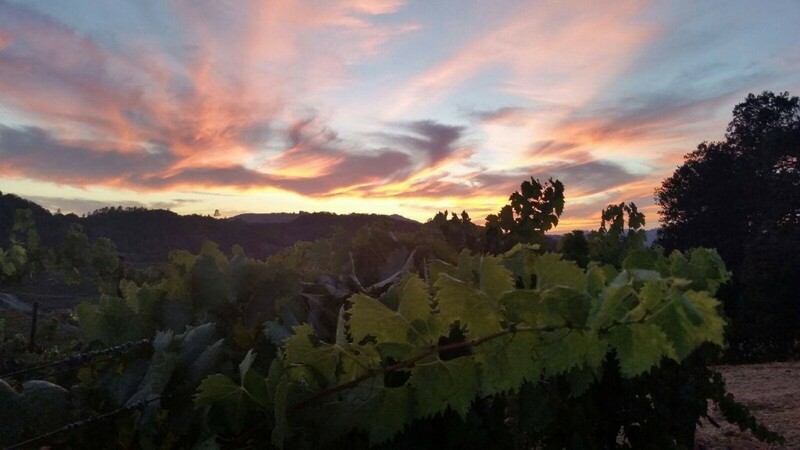 NAPA, Calif. (PRWEB) – The Stags Leap District Winegrowers Association (SLDWA) announced today that their highly-limited Appellation Collection will be released on October 15th, 2018. This is the only collection of this type offered to consumers. This year’s Appellation Collection includes one bottle of 2015 Stags Leap District-designated Cabernet Sauvignons from the seventeen Association member wineries. Only 150 sets are available for this one-of-a-kind offering and it is only available for purchase between October 15th through December 15th, 2018. The 2015 Appellation Collection includes one bottle of Cabernet Sauvignon from each of the following: Baldacci Family Vineyards, Chimney Rock Winery, Cliff Lede Vineyards, Clos Du Val, Ilsley Vineyards, Lindstrom Wines, Malk Family Vineyards, Odette Estate Winery, Pine Ridge Vineyards, Quixote Winery, Regusci Winery, Shafer Vineyards, Silverado Vineyards, Stag’s Leap Wine Cellars, Stags’ Leap Winery, Steltzner Vineyards, and Taylor Family Vineyards. The 2015 Appellation Collection is priced at $1,999.00 for the 17-bottle set, packaged in two boxes, with ground shipping included. The Stags Leap District Winegrowers Association is the exclusive retailer of the Appellation Collection and the only American Viticultural Area (AVA) or appellation to offer a vintage-specific assemblage of its wines. Consumers interested in purchasing the Collection may order online beginning October 15th, 2018, at http://www.stagsleapdistrict.com/appellation_collection.php. For additional information, contact the Association’s Executive Director Nancy Bialek at (707) 255-1720. $1,999.00 includes ground shipping for 17 bottles shipped in two boxes with detailed winemaker tasting notes. Additional sales tax applies to purchases made in California and in various other states, to the extent required by law. Included (where allowed by law). The Stags Leap District Winegrowers is a non-profit association of vintners and growers united by the mission of enhancing the reputation of the appellation and its wines, and sharing its quality with the wine-loving world. The SLDWA is comprised of 17 wineries and 10 grower members. Wineries include: Baldacci Family Vineyards, Chimney Rock Winery, Cliff Lede Vineyards, Clos Du Val, Ilsley Vineyards, Lindstrom Wines, Malk Family Vineyards, Odette Estate Winery, Pine Ridge Vineyards, Quixote Winery, Regusci Winery, Shafer Vineyards, Silverado Vineyards, Stag’s Leap Wine Cellars, Stags’ Leap Winery, Steltzner Vineyards, and Taylor Family Vineyards. To learn more about the Stags Leap District, please visit stagsleapdistrict.com or find the Association on Facebook.com/StagsLeapDistrict, Instagram.com/StagsLeapAVA, and Twitter @StagsLeapAVA. MENDOZA, Argentina (PRWEB) – Since its inception 40 years ago, a 100 point score from Robert Parker’s The Wine Advocate has marked the rise of a select few wineries from around the world. Most extraordinary is that this first-time South American perfect wine score was awarded to two wines produced in one vineyard, the Catena family’s Adrianna Vineyard. When Nicolás Catena planted this site in 1992, he was called crazy for cultivating the vines at such a high altitude. Vineyards had never been planted in the Gualtallary District, Tupungato Alto, Mendoza, because the climate was considered too extreme. This award for Argentina’s finest Grand Cru site, Adrianna, marks a historic moment for South American wine. “Since 1902, every generation of my family has worked to elevate Argentine wine, and these awards for the Adrianna Vineyard are a true recognition for our region,” says Dr. Laura Catena, Managing Director of Catena Zapata. The Adrianna Vineyard River Stones Malbec 2016 comes from a particularly stony alluvial soil section of the vineyard. The small, oval stones provide excellent drainage and moderate the vast temperature shifts between the sunny days and cool nights. The wine’s suggested retail price is $160 per bottle and is scheduled for release in 2019. Catena Zapata’s head winemaker Alejandro Vigil was also behind the Gran Enemigo Single Vineyard Gualtallary 2013, a partnership between himself and Adrianna Catena, Nicolás Catena’s youngest daughter. A blend of 85% Cabernet Franc and 15% Malbec from the cool 2013 vintage, this exciting wine will evolve gracefully in the cellar for many years. Its suggested retail price is $120. For more information about Catena Zapata, please visit http://www.catenawines.com, and for El Enemigo, http://www.enemigowines.com. Dr. Nicolás Catena Zapata and Dr. Laura Catena are the third and fourth-generation of Bodega Catena Zapata, a family winery founded in 1902 by Italian immigrant, Nicola Catena, in Mendoza, Argentina. Although he was born in a small wine-producing village of just a few hundred inhabitants, Nicolás Catena Zapata sought to understand wine beyond his native Argentina. While studying Economics at Columbia University in the 1970s, and later, during an academic sabbatical in California, Nicolás was inspired by Robert Mondavi’s Napa revolution. Mondavi aimed at making American wines that could stand with the best of the world, and Catena asked himself: “Why not do this in Argentina?” What followed in the 1980’s and 1990’s was the beginning of Catena’s High Altitude Malbec Revolution. Nicolás decided to plant vineyards higher and higher in the Andean foothills, searching for greater concentration and elegance in his wines. Many in Mendoza thought his grapes would never ripen. Inspired by her father’s quest for knowledge, born from small village roots, Nicolás’ daughter Laura studied biology at Harvard and received a Medical Doctor degree from Stanford. At first, Laura thought she would spend her life drinking, not making her family’s wines, until she came to the realization that her father and country needed her help back home in Argentina. 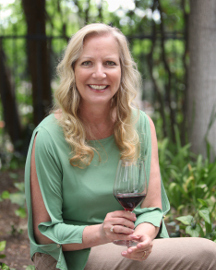 In 1995 Dr. Laura Catena founded the Catena Institute of Wine with the aim of understanding the best high altitude sites in Argentina, and of bringing Malbec back from near-extinction. Malbec had been, alongside Cabernet Sauvignon, France’s most important variety from the Middle Ages until the phylloxera epidemic of the late 19th Century, and father and daughter sought to bring back Malbec to its historic prominence. Two decades of soil studies by Laura and the Catena Institute led to the discovery of the special ‘parcelas’ of the Adrianna Vineyard. Bodega Catena Zapata has been awarded the wine industry’s greatest honors from international food and wine media for its role in Argentina’s High Altitude Malbec Revolution. The family’s vision remains the same as its founder’s, to elevate Argentine wine. 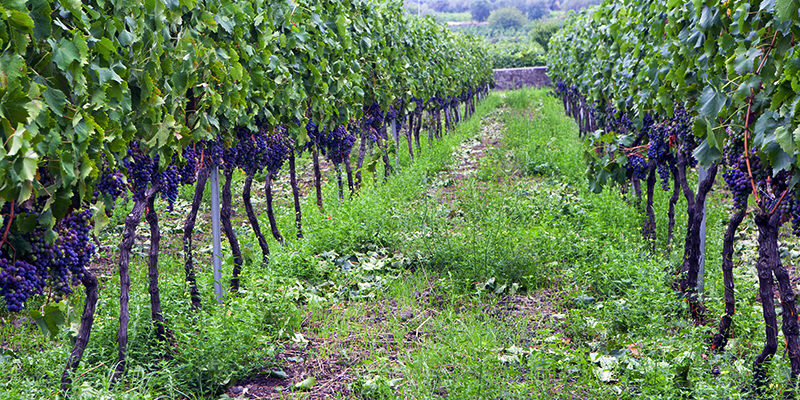 (PRWEB) – Italy is in pole position for organic, natural and biodynamic wine-growing. The country also has the largest surface area of vines under certified organic management worldwide, ahead of both Spain in second place and France in third. In light of this important reality, Vinitaly International added the “Wine Without Walls” section to its annual wine selection 5StarWines. 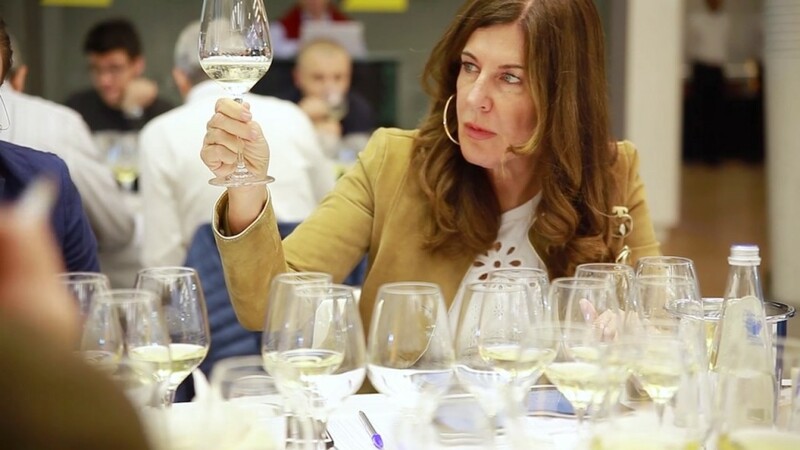 Held April 11th to the 13th 2018 in Verona, the third edition of 5StarWines welcomed over 2,700 wines from around the world and showcased 45 bottles in Wine Without Walls. Chaired by biodynamic wine expert Monty Waldin, Wine Without Walls gives recognition to the ever-present growing importance and relevance of natural wines. The section is solely dedicated to wines either without added sulphites or wines with total quantity of sulphites (naturally produced and added ones) not higher than 50mg/l. During the last edition, 24 Italian wines made it through the selection, once again proving Italy as prime location for organic wine growing. The selected organic wines will be published on the 5StarWines – the Book, which will be available from July 2018. Waldin chose ‘individuality’ to represent the individuality of a wine that can only come from vineyards and each individual vine transmitted from its particular piece of terroir: the exact type of soil and sub-soil it is on, the exact part of the slope, the exact amount of sun, rain, and wind that it gets. Individuality also stems from the human factor, i.e. how the vines were planted, picked, and pruned. These aspects, combined, affect how each berry will taste and how they are measured; whereas descriptors such as ‘emotional impact’ are less measurable and therefore more subjective. Substituting ‘transparency’ with ‘clarity’, Waldin sees that clarity in wine not only comes from the winemaker, but also from the grapes themselves. A wine embodying clarity shows that the winemaker has a clear vision of how the wine will be made. Winemakers whose aim is to make wine as naturally as possible, must guide every step of the winemaking process with their mastery, skills and knowledge to include—date of harvest, choice of fermentation vessel, choice of bottling date—in such a way that the wine clearly expresses the terroir, grape and human touch. A wine with clarity will always be transparent, from the beginning to the end. Accompanying Monty Waldin in this year’s tasting, Wine Without Walls included 4 natural wine connoisseurs. Regine Lee, Christopher Barnes, Richard Kershaw MW and Gill Gordon Smith, all coming from various countries around the world, joined together at wine2digital. The panel agreed, at the end of the selection, that the wines far exceeded their expectations in terms of quality, complexity and, most importantly, value. Furthermore, the judges were pleased to see that the wines came from not only from small, artisan producers but also from medium to large scale producers. Despite their size, they showed that they are well organised and fully capable of bringing grapes into the winery at optimal ripeness and with diverting flavours. In this Part Two story from my Healdsburg trip, today I’ll be sharing a few tastes from Seghesio Family Vineyards and Mauritson Family Winery. When Edoardo Seghesio came out to California from Italy it was to work for Italian Swiss Colony wines. He, along with all of the winery workers, was given room and board. Seghesio worked three years before getting paid; and lots of workers at the time took the money they had earned to buy land and grow grapes – which Swiss Colony encouraged. Seghesio stuck it out for 8 years, as he was a single guy like most of the others. He became the head winemaker at Swiss Colony before cashing out. He then began to plan to return to Italy to bring a bride to California with him. The boss didn’t want Seghesio to go back to Italy, as he was afraid he wouldn’t come back. He warned Seghesio that he would most likely run through his money, lose out on the best land, and his girl at home was probably not waiting around for him anyway. Promising Seghesio that he had marriageable nieces coming for a visit in just two months, Edoardo said yes, and ended up married to the boss’s niece. Seghesio and 16 year-old Angela waited until she was 18 to be married, then in 1895 Edoardo and Angela purchased land from “the Colony” and planted it to Zinfandel – the same Zinfandel used today to make the Home Ranch wine. 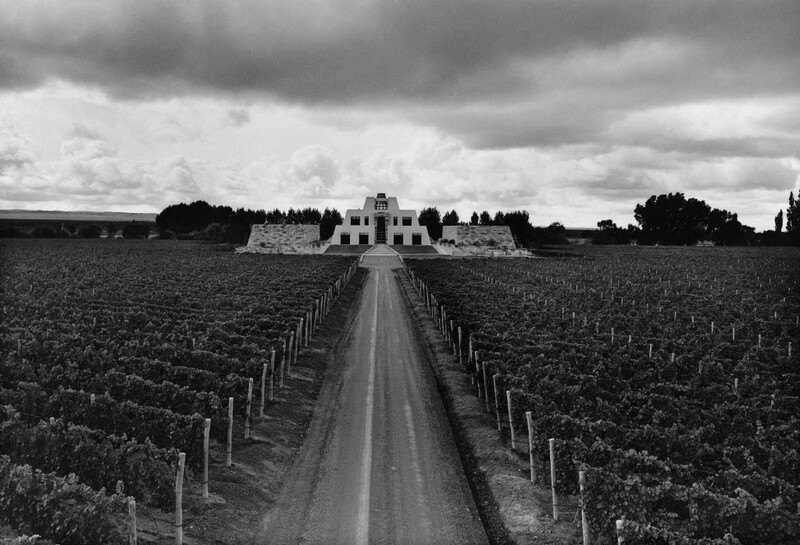 By 1902, Seghesio built a house and finished his own winery on the Home Ranch. By 1902, Seghesio built a house and finished his own winery on the Home Ranch. They got cuttings of Sangiovese in 1910. With prohibition they continued working by making wine for churches. They also planted plums during the 14-years of prohibition. The Seghesios bided their time, and were in the bulk wine business for over 80 years. In 1949, the Seghesio Family bought the current property. They now make wine with mostly Italian grapes*; 90% are Zinfandel. During the tour we noted ginormous redwood barrels that are rumored to be the largest, and possibly the oldest, in Sonoma. Like a fruity Viognier, peaches, pink sweet grapefruit; tangy, acidic, red delicious apples, nice palate cleanser. Strong smoky dark fruit; dark fruit, cigar, bittersweet chocolate. Milk chocolate covered cherries, figs, wet bark; sharp, biting red fruit, made me want pizza. Black pepper, Italian plums, mint; same flavors follow through to the palate, nice drying tannins. 2013 Sonoma County Zinfandel – their workhorse, 2/3 of all the wine they make. Cigarette, nice smoky fruit; easy drinker, with or without food. Bursting black cherry, milky, mint, earth; chewy, tannic, ripe and ready. Balanced fruit and spice of Petite Sirah and Zinfandel; I liked this blend, nice peppery feel against juicy dark fruits. My favorite. Cinnamon, cut figs, wet earth; perfect expression of Sonoma Zinfandel. Marian’s Reserve Field Blend of Zinfandel, Petite Sirah, Carignane. Lighter nose, dusty red to dark fruit, dark chocolate with a hint of red pepper flakes; nice and chewy, redder fruit, peppery. Another favorite. Black color, darkest of blackberries, sweet plump raisins, mushroom; port-filled chocolates, dry, spice and smoke. Clay Mauritson, a 6th generation winemaker, sells the majority of his winery’s fruit to other wineries, and does about 13,000 cases of his own. The wines are distributed to restaurants mostly, and direct from winery sales. The popular Rockpile label is all from that designated area, and one of the wine grape growing areas getting a buzz. In the bright tasting room many guests had cozied up to bar stools – Clay’s father had brought one in for himself one day and realized how comfy it was so he had to bring in more. Carrie Mauritson, Clay’s wife, shared four different soil samples with us depicting the different areas they had chosen for grape growing. The example drove home the different terroir (earth and conditions) making up their wines. During the tour we met Clay in his laboratory tasting samples. His energy was palatable for his task at hand, surprising, as they were also knee deep in harvest at the time. Allspice, grapefruit, mown grass, dried apples, lemon zest; kiwi, mango, crisp acidity, titillating finish. Buttery, salted caramel, lightly toasted oak; nice oaky Chardonnay, malolactic acid, mouth-coating viscosity. Smooth chocolaty nose with hints of strawberry, to dark fruit; balanced fruit to pepper to tannin. Smoky, fruit-forward dark fruits; tannic, dark chocolate finish. Sweet dark fruit, slight port qualities, smoke, hay; great fruit and juicy finish. Earthy, leather, violet; biting fruit, eucalyptus, peppery finish. Sweet plums, white pepper, bark; dry, tannic yet full-blown dusty fruit.